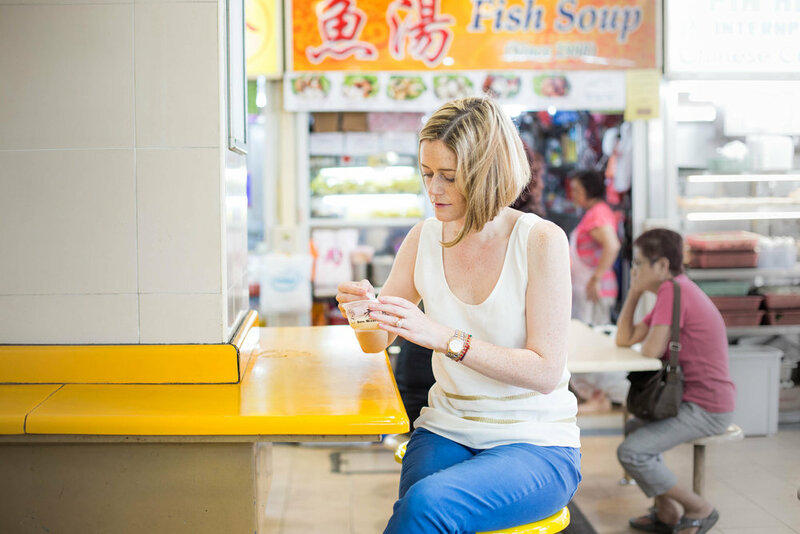 Frog Michaels has worked as an editor at the BBC and as a food and society columnist for Singapore Tatler. She currently contributes to a number of titles including The Telegraph and SilverKris, Singapore Airlines' award-winning travel magazine. Frog has lived in Singapore for many years with her husband, whose family is from Singapore, and two children. Her blog, changmoh.com, which charts the musings of an English girl in Singapore who thinks she’s local, was voted one of the country’s top-10 lifestyle blogs. Our sell-out first edition was boosted by a great deal of press and publicity that supported both the concept of the book, and the ethos behind it: to create happy households. A Helping Hand is an acclaimed introduction to cooking Western as well as some Asian dishes and is designed for all nationalities of employers, domestic helpers from the Philippines as well as anyone else looking for a fail-safe culinary introduction. Many of us, especially in Asia, are fortunate enough to be the employers of hard-working helpers who can generally turn their hand to anything – be it childcare, cooking or cleaning. Whilst nearly all have taken the trouble to learn English, there are a few inevitable occasions when things get lost in translation. After a few such misunderstandings in my own kitchen in Singapore, I thought how great it would be if there were a cookbook that my helpers and I could both understand, word-for-word, without confusion. And so A Helping Hand was born. Each recipe, including all of the ingredients, has been translated into and explained in Filipino (with other editions, including Bahasa Indonesia, due to be published in 2018). Helpers can of course read English but sometimes cooking phrases such as ‘beat’, ‘blind bake’, ‘bind’, ‘braise’, ‘blanch’ and ‘bain-marie’ are not descriptive enough to be helpful, even for native English speakers. I have also included tips and remedies in breakout boxes and almost all recipes come with serving suggestions (hidden within the Tagalog sections), as well as approximate preparation and cooking times. There is a detailed ingredients chapter to assist with shopping at the back of the book, and cookware stockists and grocery suppliers – in Singapore and beyond – can be found here, online, in order to always stay current. A few things that give this book real standout: the Tagalog versions of the recipes are far more detailed than their English counterparts (they are sometimes twice as long) and come with numbered steps. This makes them perfect for the kitchen novice, but seasoned cooks – who are able to skip some of the explanatory steps – can also use this book. I hope you enjoy using this book as much as I did creating it, and that it becomes a staple in your kitchen and a valuable addition to your happy household.